In biomedical applications of surface-enhanced Raman spectroscopy (SERS), nanoparticles can enhance the Raman signal and provide additional functionality. Duncan Graham of the University of Strathclyde has been pushing the limits of what can be achieved using functionalized nanoparticles and SERS, in applications such as cholera detection, lipid profiling in cancer cells, and assessing the efficacy of anti-cancer drugs, For this and other work he has won the 2017 Charles Mann Award, presented by the Federation of Analytical Chemistry and Spectroscopy Societies (FACSS). He recently spoke to Spectroscopy about this work. This interview is part of a series of interviews with the winners of awards that will be presented at the SciX 2017 conference in October. Proteomics and structural biology require specialized mass spectrometry methods for characterizing protein structures and conformations. 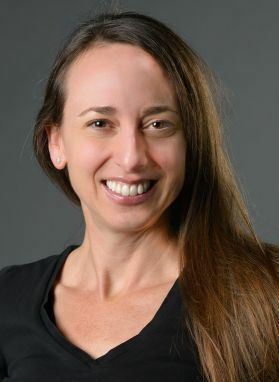 Jennifer S. Brodbelt, a professor of chemistry at the University of Texas at Austin, focuses on the development and application of photodissociation mass spectrometry for studying biological molecules such as peptides, proteins, nucleic acids, oligosaccharides, and lipids. She recently spoke with Spectroscopy about her work with this technique. She is the winner of the 2017 ANACHEM Award, which will be presented at the SciX meeting in October 2017. The award is presented annually to an outstanding analytical chemist based on activities in teaching, research, administration, or other activities that have advanced the art and science of the field. In drug development, quantitative determination of a candidate drug and its metabolites in biofluids is an important step. The standard technique for quantitative metabolite profiling is radiolabeling followed by high performance liquid chromatography (HPLC) with radiodetection, but there are disadvantages to this approach, including cost and time, as well as safety and ethical concerns related to administering radiolabeled compounds to humans. 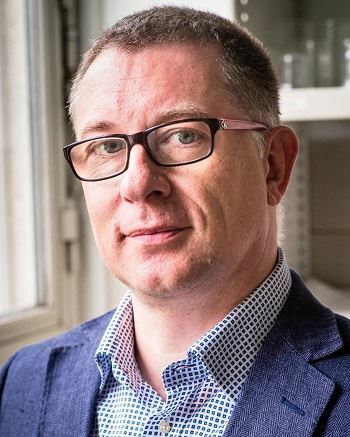 Frank Vanhaecke and his research group at Ghent University have been developing an alternative technique, and he recently spoke to Spectroscopy about this work. Vanhaecke is the 2017 recipient of the Lester W. Strock award, which will be presented to him at the 2017 SciX conference. This interview is part of a series of interviews with the winners of awards presented at SciX. Coherent two-dimensional infrared spectroscopy (2D IR) uses a series of IR femtosecond laser pulses to pump and then probe the response of a system, making it possible to learn much more about the structure and dynamics of molecules than can be seen with one-dimensional IR spectroscopy. The technique’s inventor, Martin T. Zanni of the University of Wisconsin-Madison, discussed 2D IR in a 2013 interview in Spectroscopy (1). Since 2013, Zanni has applied 2D IR spectroscopy to new systems and has started a company, PhaseTech Spectroscopy, Inc., to commercialize the technique. Zanni will receive the 2017 Craver Award from the Coblentz Society for this work. This interview is part of a series of interviews with the winners of awards that will be presented at the SciX 2017 conference in October. Infrared (IR) spectroscopy is a versatile analytical technique that has found application in a great variety of industries. 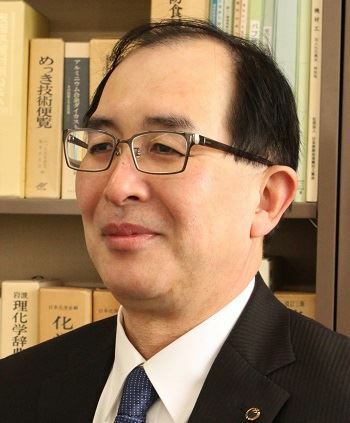 Naoto Nagai, of the Industrial Research Institute of Niigata Prefecture in Japan, has been studying the potential of IR spectroscopy for investigating higher-order structures of polymers. He and his colleagues recently looked at the IR spectra of polyoxymethylene (POM) mold plates and the cause of occasional resin cracks. Nagai is the 2017 recipient of Sciex’s William F. Meggers Award in Applied Spectroscopy. Here, he describes his research in this area, the method used, and the challenges involved. Capillary electrophoresis (CE) is routinely used for chemical and biochemical analysis methods, and recently the technique has been implemented on microchips. R. Scott Martin, a professor and chair of chemistry at Saint Louis University, has been investigating ways to improve these techniques for years. He recently spoke to us about his research coupling microchip electrophoresis with electrochemical detection, coupling continuous flow with microchip electrophoresis with valving, coupling microchip CE with microdialysis sampling and electrochemistry, and more. Martin is the 2017 recipient of the AES Mid-Career award, which will be presented to him at the 2017 SciX conference. This interview is part of a series of interviews with the winners of awards presented at SciX. In recent years, Raman spectroscopy has been applied to process monitoring and control applications in a wide range of application fields, including bioprocessing, pharmaceuticals, food, oil and gas, and oceanography. Brian Marquardt, cofounder and CEO of MarqMetrix, Inc., and director and senior principal engineer with the Center for Process Analysis and Control in the Applied Physics Laboratory at the University of Washington, has more than 15 years of experience with such applications and recently spoke with us about his research. Marquardt is the winner of the 2016 Charles Mann Award presented by FACSS. This interview is part of the series with the winners of awards to be presented at the SciX 2016 conference. Optical coherence tomography (OCT) is an emerging technique for medical imaging that uses light to see deep inside tissue. 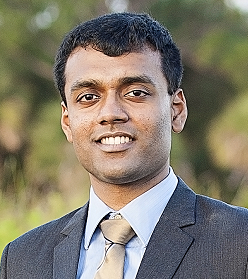 Rohith Reddy, who is a postdoctoral research fellow at the Harvard Medical School and Massachusetts General Hospital in Boston, has worked to develop an OCT device for noninvasive diagnosis of a precancerous condition, Barrett’s esophagus. Reddy is the winner of the FACSS 2016 Innovation Award. He recently spoke to us about these efforts. A wide variety of processes occur at biological interfaces, such as those between drugs and membranes, metal ions and membranes, and water and membranes. Paul S. Cremer, the J. Lloyd Huck Chair in Natural Sciences in the Department of Chemistry at Penn State, is the recipient of the 2016 ANACHEM Award, and he and his group study these processes using various novel spectroscopy and microfluidic approaches. The future of biological and clinical research will depend on technological innovations and cross discipline co-operation as science seeks a deeper understanding of increasingly complex biological systems. The 2016 recipient of the AES Mid-Career Award, Amy Herr, and her team at the University of California Berkeley have explored these areas using a combination of chemical engineering, mechanical engineering, and electrical engineering with strong foundations in biology, material science, and analytical chemistry to innovate new microfluidic analytical technology. She recently spoke to LCGC about this work. UV resonance Raman spectroscopy examines how UV light interacts with the electrons of samples and provides information about their molecular structure and dynamics. Sanford A. Asher, Distinguished Professor of Chemistry at the University of Pittsburgh, is using UV resonance Raman spectroscopy to study peptide excited states and conformations and protein folding, with the ultimate goal of helping to advance research into the mechanisms of disease. He recently spoke to us about this work. Roughly half of all promising new drug candidates are abandoned because of poor aqueous solubility. As a result, many pharmaceutical researchers are pursuing amorphous formulations, which can show improved solubility. Those researchers need powerful analytical tools to study the trace crystalline structures in those drugs, however. To address this problem, Garth Simpson of Purdue University has developed a powder X-ray diffraction method with 100 ppm detection limits. He recently spoke to us about this work, for which he won the 2014 FACSS Innovation Award. Surface-enhanced Raman spectroscopy (SERS) enhances the Raman signal using molecules adsorbed on rough metal surfaces. This interview with 2014 Charles Mann Award winner Richard P. Van Duyne of Northwestern University discusses his group's work with tip-enhanced Raman spectroscopy, single-molecule SERS, a SERS system for glucose analysis, and SERS as a method for analyzing colorants in artworks. Mass spectrometry is a powerful analytical tool, yet researchers and instrument makers continue to push the limits of its resolving power. One such researcher is David E. Clemmer, the 2014 Anachem Award winner. Clemmer's group at Indiana University has done extensive research to develop and improve ion trapping techniques and ion mobility spectrometry-mass spectrometry (IMS-MS) instruments to analyze biomolecular mixtures and structures. Spectroscopy recently spoke with Clemmer about this work. Infrared spectroscopic imaging has been advancing significantly in recent years. Key to that advance is improving the understanding of the underlying mechanisms that influence the ability to achieve greater resolution and speed. Rohit Bhargava of the University of Illinois, Urbana-Champaign, has been elucidating those mechanisms, and won the 2014 Applied Spectroscopy William F. Meggers Award for his paper on this topic. He recently spoke to Spectroscopy about his work. The physicochemical properties of drugs are often very diverse and challenging to analyze. 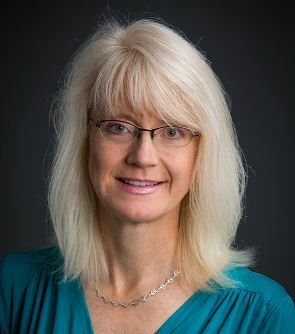 Spectroscopy recently spoke with Dr. Lynne Taylor of the Department of Industrial and Physical Pharmacy at Purdue University, and the 2014 Coblentz Society Craver Award winner, about her on-going research using Raman and IR spectroscopy to study drugs and drug excipients — and the interactions of the two. Here, she discusses the various avenues of her research, including crystallization and drug-rich nanodroplets. DNA can be analyzed by many techniques, including electrophoretic techniques such as gel, capillary, and microchip electrophoresis, and nanochannel methods in which DNA is labeled and stretched. This interview with Kevin Dorfman, an associate professor in the Department of Chemical Engineering and Materials Science at the University of Minnesota, and the winner of the 2014 AES Mid-Career Award, discusses his research with polymer physics and microfluidic and nanofluidic technologies. 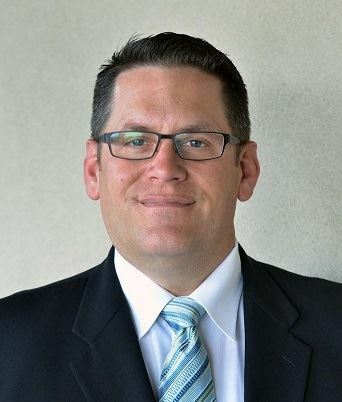 Steven J. Ray, of Indiana University in Bloomington, Indiana, has won the 2014 Lester W. Strock award for his work with a new form of mass spectrometry (MS) for analyzing complex samples: distance time-of-flight MS. In a new interview, Ray explains the technique, including how it differs from time-of-flight MS and when its use can be advantageous. Will your next cell phone include a spectrometer? In this interview, Alexander Scheeline talks about what is involved in creating such a device, and his work toward that end. This interview is part of Spectroscopy's 2014 interview series with the winners of awards that are presented at the SciX conference. 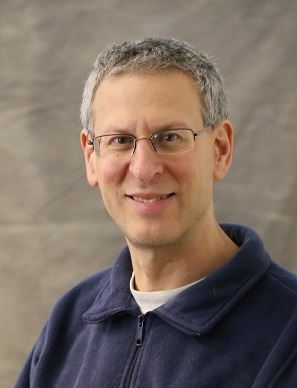 Spectroscopy recently spoke to Greg S. Engel, who is an Associate Professor in the Department of Chemistry at the University of Chicago in Chicago, Illinois, and one of the winners of the 2013 FACSS Innovation Awards. Here, Engel discusses his research examining quantum dynamics in biology, chirality in dynamics, and the use of two-dimensional electronic spectroscopy. Volker Deckert, winner of the 2013 FACSS Charles Mann Award for Applied Raman Spectroscopy, is advancing the use of tip enhanced Raman spectroscopy (TERS) to push the lateral resolution of vibrational spectroscopy well below the Abbe limit, to achieve single-molecule sensitivity. Because the tip can be moved with sub-nanometer precision, structural information with unmatched spatial resolution can be achieved without the need of specific labels. Award will be presented at SciX 2013. Richard Russo, winner of the 2013 Lester W. Strock Award, is known for important advances in laser ablation for use in spectrochemical analysis. In a new interview, he talks about those developments, how his career developed, and what it's like, as a research scientist, to lead a start-up company. Winner of the 2013 Craver Award. Professor Bhargava discusses current trends in IR spectroscopic imaging, including application-specific instrumentation, improvements in data interpretation, and identifying relationships between structure and spectra. This interview is part of the 2013 podcast series presented in collaboration with the Federation of Analytical Chemistry and Spectroscopy Societies (FACSS), in connection with SciX 2013, the federation's North American conference. Rohit Bhargava, the winner of the 2012 FACSS Innovation Award, explains new research into the theory of vibrational spectroscopic imaging that can lead to the development of instruments with new capability for both IR and Raman imaging, for use in various fields, including disease diagnosis. An interview with Norman Dovichi, winner of the 2013 ANACHEM Award. This interview is part of the 2013 podcast series presented in collaboration with the Federation of Analytical Chemistry and Spectroscopy Societies (FACSS), in connection with SciX 2013, the federation's North American conference. Charles Wilkins, the winner of the 2013 American Chemical Society Division of Analytical Chemistry Award in Chemical Instrumentation, has made a number of leading contributions in a wide range of analytical instrumentation including advances in Fourier transform infrared (FT-IR) spectroscopy. FT-nuclear magnetic resonance (NMR) spectrometry, ion cyclotron resonance mass spectrometry (MS), and computerized laboratory data acquisition and analysis. In a new interview, he talks about his work combining gas chromatography (GC) with IR and MS as well as work combining high performance liquid chromatography (HPLC) and NMR. Punctuated Microgradients for Electric Field Separations; Mark Hayes, Stacy Kenyon, Paul Jones; Arizona State University. 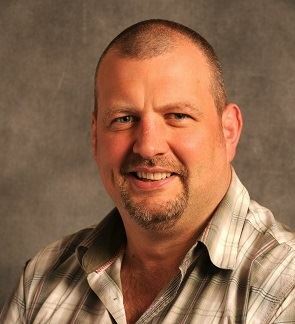 An interview with Mark Hayes, a finalist for the 2012 FACSS-SciX Innovation Award. Part of the 2013 podcast series presented in collaboration with the Federation of Analytical Chemistrya and Spectroscopy Societies (FACSS), in connection with SciX 2013, the federation's North American conference. Emily Smith and her coworkers in the Department of Chemistry at Iowa State University developed a stimulated emission depletion (STED) fluorescence microscope and used it to collect fluorescence lifetime images. With this approach, they were able to achieve a lateral spatial resolution of 40 nm, which is an eightfold improvement in lateral resolution compared with traditional far-field optical microscopy. This system has been used to measure the organization of integrin cell membrane proteins and the cellular factors that affect integrin rearrangement. Ken Marcus and his group at Clemson University have developed a miniaturized liquid sampling atmospheric pressure glow discharge source. Originally designed for atomic spectroscopy., the source actually works for both elemental and organic mass spectrometry. It can operate in various types of solutions, from the acidic to the saline, without ion suppression and is small and portable. Peter Griffiths, winner of the 2012 ANACHEM award, reflects on a career in IR and Raman, and offers advice for the next generation. Duncan Graham, winner of the the 2012 Craver award from the Coblentz Society, on the use of SERS for biomedical analysis at the nanometer scale. S. Michael Angel, winner of the 2012 Meggers Award and a 2011 FACSS Innovation Award, has been developing a spatial heterodyne spectrometer for conducting Raman spectroscopy in planetary space missions as well as applications here on Earth. Justin Cooper and Joel Harris at the University of Utah are using single-molecule fluorescence imaging to study the dynamics of molecular transport within chromatographic stationary phases. Here is what they have found. Bernhard Lendl and Cosima Koch of the Vienna University of Technology have developed a new method for on-line monitoring of fermentations using mid-infrared spectroscopy. 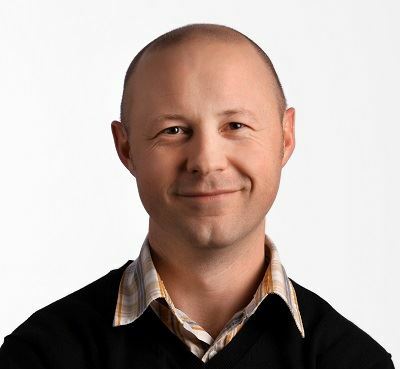 Alexander A. Bol'shakov is a senior scientist with Applied Spectra, Inc. (Fremont, CA). Dr. Bol'shakov and colleagues won a FACSS Innovation Award at the 2011 SciX conference for a presentation on Laser Ablation Molecular Isotopic Spectrometry. Ralph E. Sturgeon's contributions to analytical atomic spectroscopy have been recognized through a number of awards, including Fellowship in the Chemical Institute of Canada (1990), the Barringer (1986) and Herzberg (2002) awards of the Spectroscopy Society of Canada, the McBryde Medal (1990) and Maxxam Award (2007) from the Chemical Institute of Canada, the Ioannes Marcus Marci award (1998) of the Czech Spectroscopic Society and an NRC Outstanding Achievement Award for 2009.